At Haulaway we offer clean, highly secure, weather-resistant portable storage containers that provide your Salt Lake City home or business with an instant storage solution. With experienced drivers and affordable rental rates on our 10’, 20’, 21′, 26′ and 40’ storage containers, Haulaway can conveniently deliver your Salt Lake City portable storage containers whenever and wherever you need it! Haulaway’s Salt Lake City steel portable containers with patented Rhino Locking System will keep your stuff safe from weather and would-be thieves. 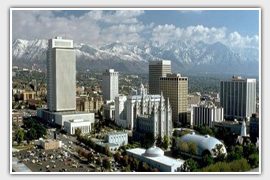 Haulaway has been in business since 1968 by providing competitive prices and secure portable storage containers for all of Salt Lake City. As one of the largest storage container suppliers in Salt Lake City, Utah, we take pride in our professional service that specializes in delivering durable portable storage units with excellent security any where you need it.